However, he doubles down on his support for Trump. Kanye West’s cancellation has been an ongoing issue. One that went from “well, let’s hear him out” when he was posting photos of himself wearing a MAGA hat to “oh shoot, no, this guy is pretty cancelled” when he went on TMZ and said that slavery is a choice. Kanye’s descent into this weird bad new side of himself peaked when he went on “Jimmy Kimmel Live!” and, after talking at length about how we are theoretically in an illusion, was asked by Kimmel very concretely if Donald Trump cared about black people. Kanye sat in silence. 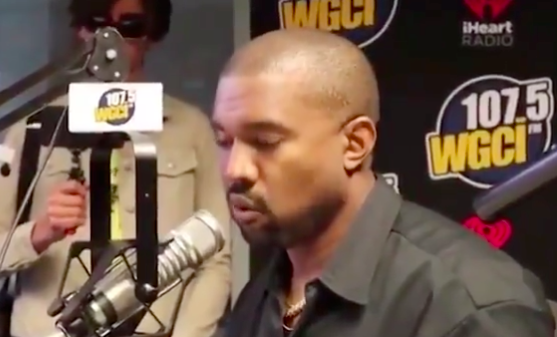 Now 19 days later Kanye’s silence was broken after he both answered Kimmel’s question at long last on 107.5 WGCI Chicago and apologized for his comments on slavery. Both were showing a Kanye West who was deeply upset by his own behavior, but not too upset as he continues to try to explain himself and his behavior. Balding Donald Trump is not mentioned in enough rap songs, I agree. In the rest of the interview however, Kanye West doubles down on his support for Trump, but again: not covering the ideas or separated children at all, and focusing more on how people attack him when he discusses Trump calling it some “1984 mind control”. It is a reference to both him and other black people who voted for Trump not being allowed to talk about it. No word yet on wether or not that’s worse than being separated from your parents as a toddler, but we’ll stick around. The entire interview can be watched above. What do you think though? Are Kanye’s statements sufficient? Let us know in the comments or on Twitter at @WhatsTrending.